Members of the Webster community are invited to attend the 6th Global Citizenship Program Collaboratory, May 17-18 on the Webster University home campus. This event is open to the entire University community. To register for the Collaboratory, complete the registration form. Community members can also participate remotely through webinars and live streams. As Webster University expands programs that ensure high-quality learning experiences, students and faculty are learning to engage with evidence-based instructional approaches that foster deep learning. These educational practices help students emerge from Webster with meaningful degrees, essential competencies, and the engaged mindset to pursue excellence in work and life. This year’s Global Citizenship Collaboratory will provide a space to share and examine emerging issues surrounding teaching and assessing these sorts of deep learning educational practices. The featured speaker this year is Lynn Pasquerella, PhD, president of Mount Holyoke College since 2010 and newly appointed president of the Association of American Colleges and Universities. 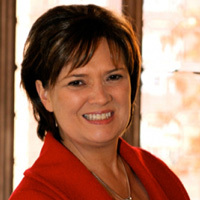 She is the author of numerous books and articles on ethics and philosophy and has received many distinguished honors including the Horace Mann Distinguished Graduate Alumna Award from Brown University, the Superintendent’s Award for Distinguished Service to the South Hadley Schools, and the Teaching Excellence Award from the University of Rhode Island. Pasquerella will present a keynote titled What Lasts: Education's Enduring Lessons. A recent Gallup and Purdue University study discovered the most important outcomes of a college education are also the most difficult to measure. When college graduates look back on their educations, they find what matters most are the deepest and most enduring lessons. Pasquerella will address how colleges must help today's students develop a sense of purpose, strong relationships, financial and physical well being, and connect with their communities. Tuesday, May 17, will also feature a student panel, "Students’ Perceptions of Living and Learning Within the Global Citizenship Program,” moderated by Carol Williams, as well as additional concurrent session co-facilitated with students to learn more with them about our courses, seminars, and co-curricular experiences. On Wednesday, May 18, attendees will have the opportunity to attend a variety of workshops on topics such as the role challenge plays in deeper learning, strategies for integrating GCP skills into Keystone seminars, leveraging technology for accessible high-impact learning, and creating active and engaging experiences for passionate learning. On Thursday, May 19, participants will also have the opportunity to extend their experience with the Crossing Borders Education Conference, The CBE curriculum package is designed to link intercultural learning and diversity training through intentional activities to support a deeper level of transformative learning, enable the development of key skills such as empathy, curiosity, critical thinking, and global awareness, and stimulate interest in studying abroad. For additonal details and to register, here.